Nightingales install high quality, modern and fully adapted kitchens manufactured by AKW which are available in a variety of finishes. There are two ranges to choose from. The Worcester which is supplied flat pack providing remarkable value for money and the Independence which is bespoke, modern and fully adapted to meet individual needs. 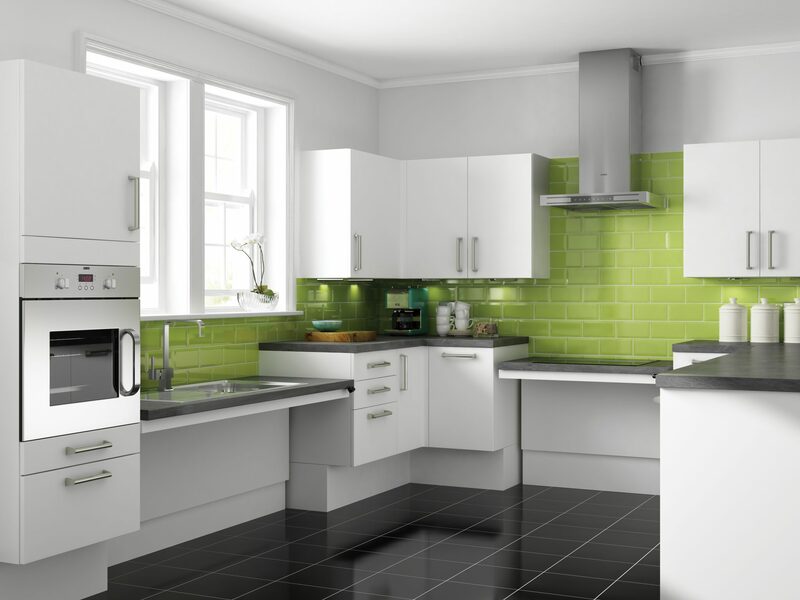 Both ranges come with a choice of 12 different finishes for the doors and cabinets, a choice of 4 different handles and 7 different worktop colour options. Units carry a 5 year warranty on manufacturing defects. Complete the kitchen with appliances which enhance easy access such as hobbs with easy to reach front controls and built-in ovens with side hinged doors for closer access. 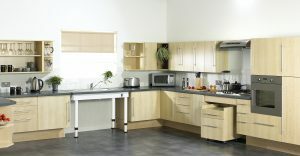 For help or more information on our easy access kitchens please contact us. To go back to our home page please click here. We could not thank Steve and Ross enough for the hard work and effort they put into our kitchen, they work extremely hard and nothing was too much effort. They went above and beyond the call of duty, we cannot thank these two enough for a job well done. Thank you Steve and Ross. We will cherish this kitchen.